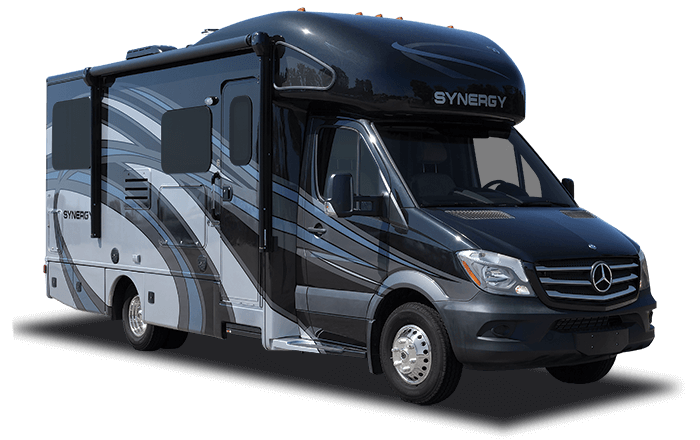 Priced to fit anyone’s budget, Synergy by Thor Motor Coach is great for families on the go or full time RVers looking to downsize. Interior features of Synergy include solid surface kitchen countertops, under mount sinks, charging station in living area, Bluetooth coach radio system, keyless entry and leatherette furniture. Outside owners can enjoy optional full body paints, a whole-coach water filtration system, and heated remote exterior side mirrors.